Show Your Library Love for Library Lovers' Month! This month we have an exciting giveaway going on! As you may or may not know, all of our books are available in OverDrive through your local library! But what is OverDrive you might say? It’s a digital service that allows you to borrow ebooks from your local library! All you need is your library card! Great question! To enter the giveaway, all you have to do is borrow one of our books from your local library! Snap a picture of your order confirmation, and tweet it at us at @blindeyebooks. Be sure to include our username in your tweet or we won’t see it! The giveaway goes until March 15th, so you’ve got some time to plan your picture and get it to us. No worries! You can still enter the contest! Go in to your local library and find out how to request that the book you’re looking for be added to the library’s collection! Snap a pic of the request, and tweet that at us instead. Don’t fret, my friend. You can still enter our contest. All you have to do is go to your local library, find a handy-dandy librarian, and ask them to help you. I can guarantee they would be thrilled to help you order one of our books through OverDrive! 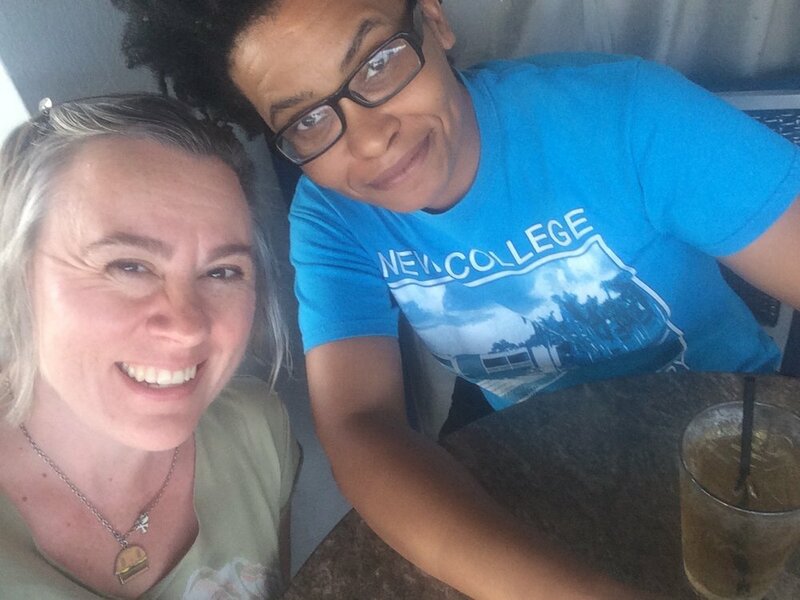 Snap a pic with the librarian that helped you, and tweet it at us to enter the giveaway! Friend, what have you been doing with yourself all these years? Libraries are the best! You can borrow books, video games, audio books, CDs, and so much more from your local library! Getting a library costs nothing, and they’re wonderful places for events and to learn things! Not to mention, they’re a great place to help support indie book publishers even when you can’t afford to buy all their books. Plus, February, is Library Lovers’ Month! So, what I’m saying BEB Faithful: get thee to a library! Got everything you wanted for the holidays except a new book to burn through into the new year? Or perhaps you know someone who could use a little extra dose of holiday cheer, a fantastical story to take them away from their troubles and keep them feeling warm and safe until the sun comes back and spring. If that’s you, we’re here to help with this months blog post! If you relate, the rest of this post is dedicated to going through our books and telling you what kind of person would suit each best. We hope you enjoy this silly astrology by book blog post, and have all the very best stories to keep you company in the New Year. Wicked Gentlemen - This book is for waist-coat wearing Fullmetal Alchemist fans who enjoy a fantastical approach to historical fiction. Angels, demons, mysteries, and a whole lot of romantic tension, this story is one of our favorites at the press. Two Tangled Tales - The perfect little ebook for the fairytale lover in your life. These two charming short stories will have you getting out the tea set to enjoy an old-fasioned Victorian cup of tea. Strange Fortune - The epic stakes of Lord of the Rings with the added draw of queer characters--Josh Lanyon's Strange Fortune delivers that high fantasy feel and the LGBTQ good times. The Archer's Heart - Looking for something in a non-western setting devoid of the society you know every day? Then check out Astrid Amara's little e-trilogy The Archer's Heart! With political tension and romantic tension in epic porportions, The Archer's Heart keeps your heart strung like a bow from start to finish. Lord of the White Hell - The LGBTQ college version of Harry Potter you've been looking for, complete with falling in love with your gorgeous and haughty room mate, and taking him home to meet your mother in your women-run society. Lord of the White Hell is full of cozy moments by the fire and real and literal magic. Be sure to grab them as a set! No one likes cliffhangers! Smoketown - In a city where birds are forbidden, one woman keeps them, waiting for the woman she loves to return to her. She's not the only one to wish for something she can't have in this city. Smoketown is a hauntingly beautiful, bittersweet tale of love, redemption, and independance. Don't worry, though; even though it sounds tragic, the play upon your heartstrings resolves warmly. Blind Eye Books has a soft spot for happy endings. The Rifter - Like high fantasy? Want to escape to another world? Need a series that will take you longer to get through than the holidays with your family? Then The Rifter is the series for you! When John accidentally finds a key in his roommate Kyle's mail, he hardly expects it to take him to another world. Now he must survive it until Kyle find him--and a lot can happen when worlds are temporally locked together! The Irregulars - Love interlocking short stories in the same universe? Then grab your copy of The Irregulars! Four stories from four award winning LGBTQ authors! Each story just long enough to get through before your next holiday commitment, or during commutes! Highfell Grimoires - Blind Eye Book's signature Steampunk title! All the comforts of Victorian era London, now with floating islands, blood magic, the titular grimoires, and a little societal espionage besides, Highfell Grimoires keeps you guessing right up until the end. Renovation - When everything you touch gives you memories of what it's been though, construction can be a rough job--especially when renovating an old house where someone died. If only the house could give you enough evidence to rule out your hot new neighbor at this job! Urban fantasy and mystery combined, Renovation will keep you on the edge of your seat and your mind off the cold. The Devil Lancer - Set in an alternate history of Crimea, war is at hand--but so is black magic. When Elliott Parrish is assigned to spy on fellow officer Cornet Ilyas Kovakin, he finds the rumors about the man's demonic power on the battle field to be more literal than he expected. But when that power is revealed to be more curse than boon, how will the two soldiers save each other, and the war? Champion of the Scarlet Wolf - Another duology set in the same universe as Lord of the White Hell, but now five years later. If you gave someone the gift of The Lord of the White Hell last year, this is the perfect set to follow up with. Great for December birthdays! One book for the birthday, and one book for the holiday. Bellingham Mysteries - When they say "Read all about it! ", Jack Fontaine wishes they were talking about his journalism. Instead, he gets more than he bargained for as his journalistic desires draw him further into murder and mystery. Pair this with Renovation for the perfect LGBTQ murder mystery package for the thrill-seeking reader in your life. Bitter Legacy - When crime is too big for one man to solve, you can bet it leads to a team-up. Set against the backdrop of a police procedural with notes of detective noir, a detective and a photographer find out if they're compatible enough to take down a serial murderer. Chilling to the bone, you won't notice the cold while reading this. Maze-Born Trouble - Love a good thrilling space podcast? Lovers of Wolf 359, Girl in Space, Starship Iris, and The Penumbra Podcast will find themselves enraptured with Maze-Born Trouble. Blades of Justice - Looking for a good, old fashioned, queer female power trip? Maybe with some non-binary representation on the side? Then Blades of Justice is the perfect gift for you! Who says the tool of justice can't be domestic? The Long Past and Other Stories - Looking for a mixed bag of queer stories all under one cover? The Long Past and Other Stories gives you dinosaurs, magic, boys in love, and girls in love all in one book! Grab it for the starry-eyed older teen in your life and watch them geek out over feathered dinosaurs and clockwork robots brought to life. Grilled Cheese and Goblins - Looking to gobble up more than just your a holiday meal this year? Food inspector Keith Curry offers a delectable selection of food description--and a rather tasteful array or mystery to be solved. Grab this for the food lover in your life! Object of Desire - More Dal Maclain means more mystery--this time with the fashion and modeling industry at its core! If you've got a beautiful friend, let them know just how gorgeous you think their make up and clothing choices are by grabbing them this story about unbearably beautiful and well dressed people falling in love with each other while trying to solve a murder. Happy Holidays from Blind Eye Books! See you in the New Year, BEB faithful! We're just winding up tabling at our first ClexaCon and we can't recommend it highly enough. 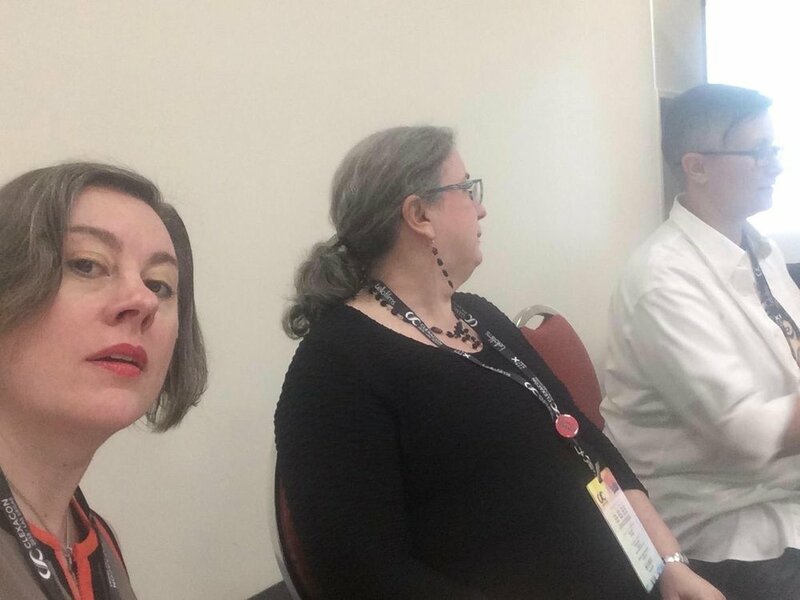 Here our editor, Nicole Kimberling tries (and fails) to take a good surreptitious panel selfie with Catherine Lundoff of Queen of Swords Press, and Isabella of Sapphire Books. We look forward to seeing everyone again next year! "Maybe I should watch a video about how to do this..."
Today we have MFA student Arao Ameny interviewing Blind Eye Books editor Nicole Kimberling about the day-to-day of running a small publishing company. Nicole: So how did you find Blind Eye Books? Arao: I was reading a book called Queer Africa, an anthology of LGBTQ fiction from the African continent and re-reading another book called Under the Udala Trees by Chinelo Okparanta, books that center around LGBTQ characters on the African continent. I started wondering about books or publishers that center around similar narratives here in the U.S. I was doing an internet search, found the Lambda Literary website and scrolled through a few options, read that Blind Eye Books publishes books with LGBTQ protagonists, contacted you and here we are...On a personal note, I'm on a quest to read books or authors from diverse communities—that's how I'll learn and grow and mature as a writer. Nicole: It’s amazing how books are able to break through barriers between people. Arao: I understand you are established in Bellingham, Washington. What year did you start Blind Eye Books? Did you originally start in Bellingham where you are located? Have you expanded? Nicole: We started BEB 11 years ago. Originally we published speculative fiction only but in the last couple of years we’ve expanded into mysteries and thrillers. Arao: What kind of books do you publish? Nicole: Blind Eye Books publishes fiction featuring queer protagonists. We do both print and digital releases of novels, anthologies and, recently, standalone novellas. Arao: Who are the key players in Blind Eye Books? Nicole: We have two full-time employees and work with several contractors. Dawn Kimberling acts as publisher and art director and I am both managing and acquiring editor. We have a social media coordinator named Theresa Tyree and may work with other freelance editors, proofreaders, publicists, illustrators and book designers depending on what a particular project requires. For example, for our forthcoming release, a thriller called Object of Desire by Dal Maclean, I did the primary developmental edit and line edit and hired another editor, Anne Scott, to do proofreading and continuity. We hired KaNaXa to design the cover (including the cover type design) and did the interior book design in-house. We also outsource our ebook manufacturing. So including the author that’s a six-person team working to turn a manuscript into a print book. Arao: Do you have authors with multiple titles that you’ve published? How many books do you publish per year? Nicole: Yes. Most of our authors have more than one title with us. But we don’t demand right of first refusal or anything like that. We publish two titles per year. Arao: I understand you publishing company is dedicated to publishing the best science fiction, fantasy, mystery and romance featuring LGBT protagonists. What is your mission statement? How has it evolved? 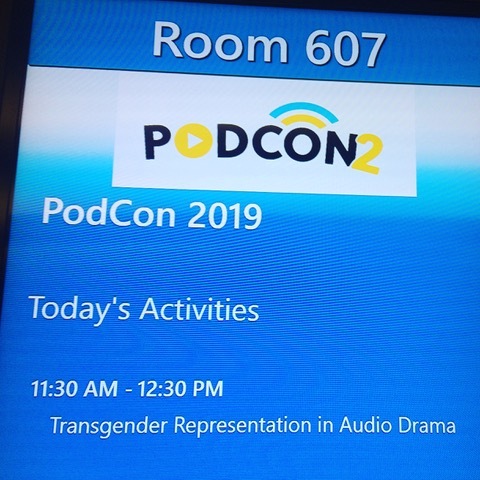 Nicole: Our mission statement is exactly the same as it always has been: to produce genre fiction featuring queer protagonists that is both powerful and positive. We don’t do bummer endings. Ever. Arao: May you describe how you fund Blind Eye Books? How do you fund your press? What are the estimated costs of doing business? Nicole: With money of course! (lol) We run on the revenue generated by sales of our books, just like any other business. :) If you’re asking how much money a person needs to start a publishing company I’d say: about $5,000 and one killer manuscript that’s gonna sell more than 10,000 copies. At Blind Eye Books we lucked out and chose Ginn Hale’s Wicked Gentlemen as our first release. Ms. Hale’s book went on the win the Spectrum Award and was shortlisted for the Lambda Literary Award. Arao: How has your audience changed since you first established Blind Eye Books? Nicole: Well, it’s gotten bigger. Each new author finds a new set of readers and some of those crossover to our other authors and titles. Plus review outlets are more eager to read fiction featuring queer protagonists than they used to be. Arao: What other thoughts or ideas would you like to share with our class about Blind Eye Books? Nicole: When we started Blind Eye Books it was to produce the kind of books that we wanted to read but couldn’t find on bookstore shelves. Back then publishing was a closed system with enormous barriers to entry to the book market and access to readers. Since then digital access to distributors and retailers—even libraries—has become as easy as setting up a Smashwords account. Worldwide print book manufacture and distribution can be had from Lightning Source. Marketing is a hashtag away. Even high-end reviews in venues like Kirkus and Publishers Weekly can be yours for a few hundred bucks. So if you have the passion to start your own publishing company that makes the kind of books that YOU want to read go ahead and make one. If you think there is an underserved reader or marginalized author, publish a book. Sell the book. Prove that the market exists. Make those readers visible. It would be ingenuous of me to claim that starting a publishing company is easy, because it really isn’t. Like any other business it takes a while to learn the ropes of your industry and you are bound to make some errors and missteps along the way. 1. Decide what your mission is. Do not deviate from the mission. For the purposes of this essay lets say you want to read contemporary romance books featuring Latinx protagonists. Decide on a name and acquire a business license and bank account and web address. Apply for an EIN number for tax purposes. 2. Find a couple of authors who are willing to work with you. Even if you are, yourself an author, it will help to have more than one person on your team. Five is a good number, but you can start with just one if that’s all you have. Always write contracts explaining exactly how much an author is paid and when they are paid. At Blind Eye Books we pay 10% of cover price for print and 50% net for digital. 3. Complete production on your books—get them written, edited, proofread, and manufactured into 3 file types: print-ready pdf (for Lightning Source) plus .mobi (for amazon.com) and .epub (for everybody else.) Make sure covers are high-res images. You are now four months away from release. 5. Send review copies to reviewers—most big venues require books to be submitted at least four months prior to the release date. 7. Build social media accounts for your publishing house. 8. Contact citizen reviewers in your field. Send out review copies. 9. Two months before release date, upload digital books for preorder. Begin to arrange author appearances on relevant blogs and websites. (It helps to hire a publicist to do this if you can find one familiar with your field.). 10. One month before release date begin media campaign. 11. Release date: Hooray! Time to see how you did. If you sold 100 copies, you’re about average. If you sold 1000 you’re on to something. If you sold 5,000 you’re onto something good. 12. Pay author on time. Bio: Arao Ameny is an Uganda-born, Maryland-based journalist and writer. She is currently an MFA Fiction student at the University of Baltimore and loves prose and poetry—equally. Her favorite author is Zimbabwean author Dambudzo Marechera. Dal Maclean does it again! Hey there, BEB faithful! Good to see you, even if you're just huddled up next to your computer hiding from the snow. Anyway, since you're cuddled up indoors already, let me tell you about this awesome thing you could be reading. If you read Bitter Legacy, you know what an artist Blind Eye Books author Dal Maclean is. She dislikes the Tragic Gay trope, but loves imperfect characters and genuine emotional conflict in romantic fiction, so you know you're always in for a something relatable and engaging when you pick up one of her books. 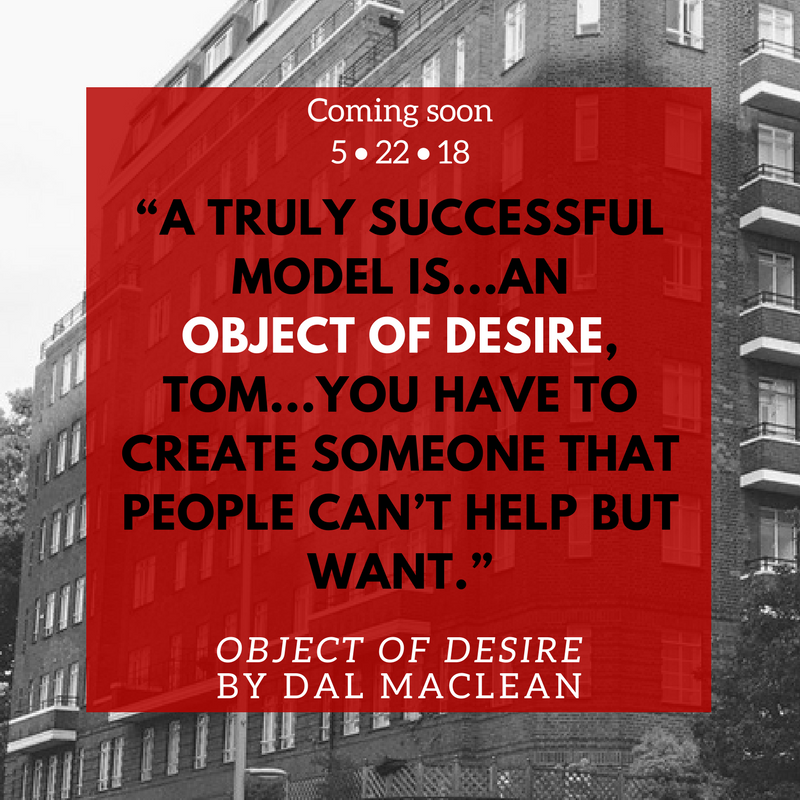 Which brings me to the purpose of our monthly tête-à-tête: Dal Maclean's newest title Object of Desire is up for preorder on Amazon! Tom Gray is one of the world's top models–an effortless object of desire. Self-contained, elusive and always in control, he's accustomed to living life entirely on his own terms. But when Tom comes under suspicion in the gory death of his employer, his world spirals into chaos. Someone's framing him. Someone's stalking him. And as old secrets come to light, Tom finds his adversary always one step ahead. Will Foster is the only man Tom trusts to help. But Tom brutally burned all bridges between them two years before, and Will paid a bitter price. If he wants to survive, Tom must prove his innocence to Will–and to the world. Having been able to preview the manuscript, I can personally guarantee that this one is worth your time, and your money. Go snag your copy from the preorder link above! We're only going to print so many, so reserving yours before we run out is a good idea! Keep warm during this flash freeze, and we'll see you next month, faithful!